There is interesting news for Photoshop lovers – Adobe has released a teaser video of Photoshop CS6 on its YouTube channel to give us a fair idea about the new and amazing looks of Photoshop CS6. In the video, dubbed “Sneak Peak #1” shared on official Photoshop channel on YouTube, the Senior Product Manager Bryan O’Neil Hughes demonstrates a hint of CS6’s Camera Raw 7. Hughes loads a typical, not-very high resolution image of Eiffel Tower at dusk with his cameraphone. Then he goes on to work with CS6’s Camera Raw, raising highlights and shadows, sharpening and introducing new tools that have not been offered in previous versions. The edited image looks extremely remarkable over to what it was looking like before editing. 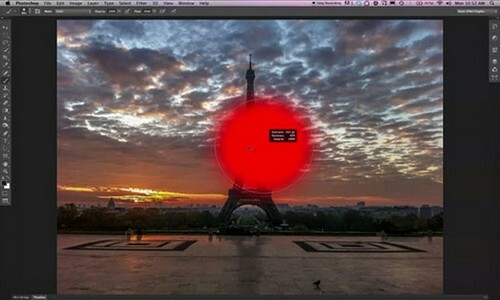 After demonstrating a Camera Raw, he opens up CS6 and introduces to viewers a very new Photoshop. It has a much darker interface than previous versions. He further adds that the purpose of using darker interface is to give it more uniform appearance alongside other Adobe software, like Lightroom. Hughes also demonstrates a new feature called ‘rich cursor support’ at the end of the video that provides instant information about a brush’s diameter, hardness and opacity. The title of the video “Sneak Peaks #1” gives us a hint that the company may release more videos in future to introduce more features.